A look at what bosses you'll fight and their weaknesses in Mega Man 11. In Mega Man 11, there are a variety of different bosses to take on, each with their own unique weaknesses. Many new players have been curious as to what order the bosses appear in, and what can be used to easily defeat them. Additionally, this knowledge can help you figure out which parts and items to prioritize unlocking first in order to be better prepared for the next boss in Mega Man 11. To help, we’ve put together a quick guide featuring the boss order and boss weaknesses in Mega Man 11. There are 8 total Robot Master bosses in Mega Man 11. In Mega Man 11, there are 8 different Robot Master bosses, 2 Dr. Wily forms, and 2 “specialty” bosses for a grand total of 12 bosses. Each of these bosses has a unique weakness that can be used to quickly defeat them. First, let’s take a look at the order in which the 8 Robot Master bosses appear in Mega Man 11 and their associated weaknesses. 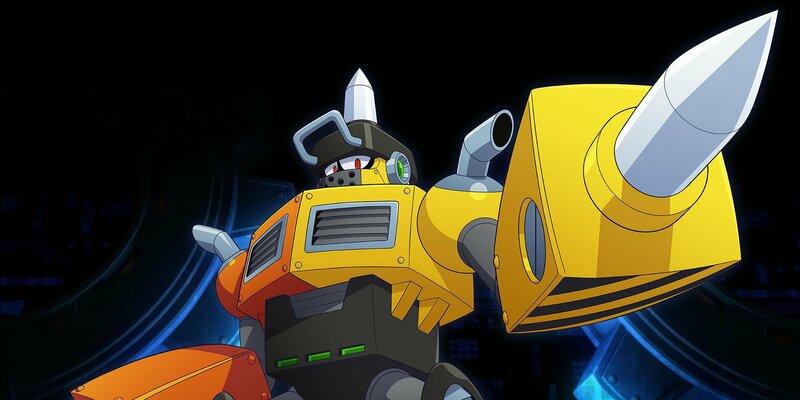 Block Man: The first Robot Master boss in Mega Man 11 is weak against Chain Blast (Blast Man). Defeating Block Man will reward you with the Block Dropper in Mega Man 11. Acid Man: The second Robot Master boss in Mega Man 11 is weak against the Block Dropper (Block Man). Defeating Blast Man will reward you with the Acid Barrier in Mega Man 11. Impact Man: The third Robot Master boss in Mega Man 11 is weak against the Acid Barrier (Acid Man). Defeating Impact Man will reward you with the Pile Driver in Mega Man 11. Bounce Man: The fourth Robot Master boss in Mega Man 11 is weak against the Pile Driver (Impact Man). Defeating Bounce Man will reward you with the Bounce Ball in Mega Man 11. Fuse Man: The fifth Robot Master Boss in Mega Man 11 is weak against the Bounce Ball (Bounce Man). Defeating Fuse Man will reward you with Scramble Thunder in Mega Man 11. Tundra Man: The sixth Robot Master boss in Mega Man 11 is weak against Scramble Thunder (Fuse Man). Defeating Tundra Man will reward you with Tundra Storm in Mega Man 11. Torch Man: The seventh Robot Master boss in Mega Man 11 is weak against Tundra Storm (Tundra Man). Defeating Torch Man will reward you with the Blazing Torch in Mega Man 11. Blast Man: The eighth Robot Master boss in Mega Man 11 is weak against the Blazing Torch (Torch Man). Defeating Blast Man will reward you with the Chain Blast in Mega Man 11. There are two different forms of Dr. Wily in Mega Man 11. 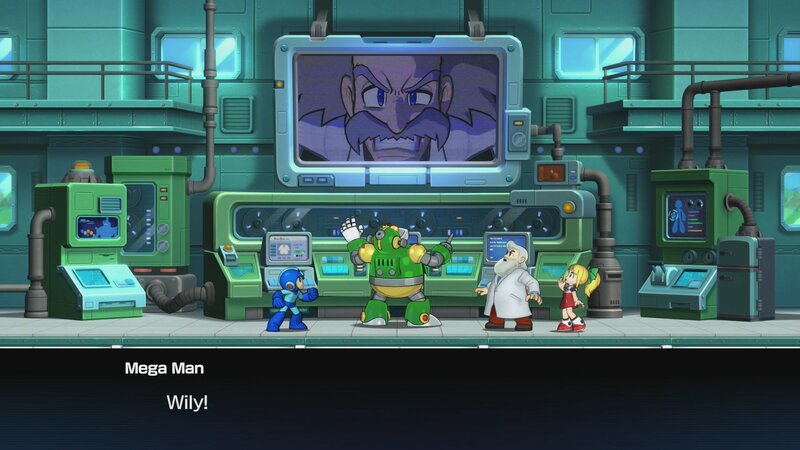 After defeating all 8 Robot Master bosses, Dr. Wily will show up in his first form in Mega Man 11. To help make the process easier, we’ve listed the 4 remaining bosses and their weaknesses in Mega Man 11. Dr. Wily (1st Form): The first form of Dr. Wily is weak against Acid Barrier (Acid Man) and Chain Blast (Blast Man). Dr. Wily (2nd Form): The second form of Dr. Wily is weak against Acid Barrier (Acid Man) and Scramble Thunder (Fuse Man). Mawverne (Boss 2): The second boss, Mawverne, is a little easier to take out than the first. Mawverne is weak against the Bounce Ball (Bounce Man) in Mega Man 11. Yellow Devil (Boss 1): Finally, the Yellow Devil is weak against Chain Blast (Blast Man) in Mega Man 11. The process of defeating each and every boss in Mega Man 11 boils down to fighting them in order and unlocking their special weapon. With the Robot Master bosses, the next boss will typically be weak against the unlock reward granted by defeating the previous boss with the exception of Block Man, though Block Man is pretty weak against Mega Man’s basic attacks. Meanwhile, the final 4 bosses should be easy to take out once you’ve defeated the Robot Master bosses, as you’ll have the requisite attack needed to quickly take them down. Which boss was your favorite in Mega Man 11? Let us know down in the comments below! For more on Mega Man 11, be sure to check out some of our previous guides including how to get the Rush Jet in Mega Man 11, and how to unlock new parts and items in Mega Man 11. By reading through this guide, you should now know the boss order and boss weaknesses in Mega Man 11.